On July 1, 2016 a new law for the production and distribution of drinking water and energy was introduced for the BES islands. 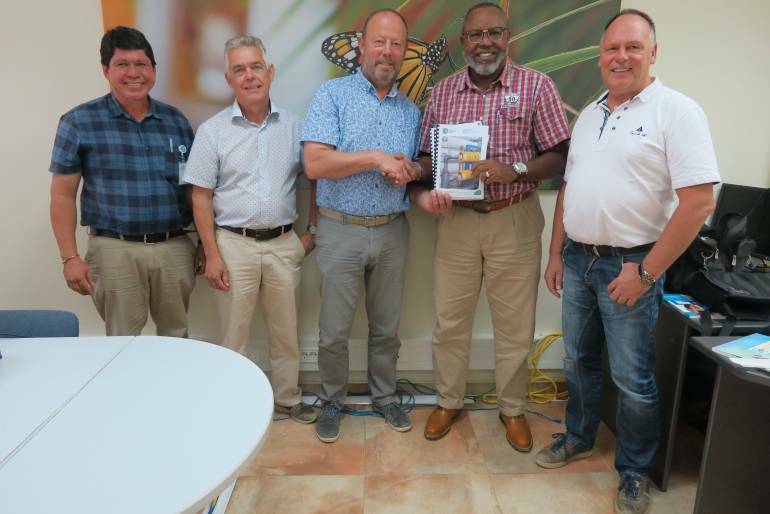 Water- en Energiebedrijf Bonaire N.V. (WEB) called upon VEI for the implementation. After almost 2 years, WEB has been able to hand over the final documents to the government representatives of the Inspection of Living Environment and Transport (ILT) of the Ministry of Infrastructure and the Environment. This completes a period of intensive consultation and implementation of changes in work processes and responsibilities of the internal departments. My task has been to prepare and implement the documents as delivery plan, monitoring plan and legionella risk and management plan with accompanying risk analyzes, investments and procedures together with those involved at WEB within the drinking water department. Now that these are definite, the enforcers will focus more on the implementation of the documents drawn up from the law. The representatives of the government were impressed by the work that WEB had done to get it ready. During the handover, the Business Unit Manager Drinking water told VEI that they had a very important role in this. The official hand over was closed with a photo shoot.